Welsh triathlete Non Stanford has withdrawn from the European Championships in Kitzbuhel, Switzerland at the weekend due to illness. Stanford finished 11th on her return to action in the World Series on Sunday, 11 June. That race in Leeds was 2013 world champion Stanford's first Olympic distance race since finishing fourth at the 2016 Rio Olympics. She tweeted: "Disappointed to have to withdraw from European Champs." Stanford added: "Good luck all of @BritTri racing. But for me now is 'ahead only'." 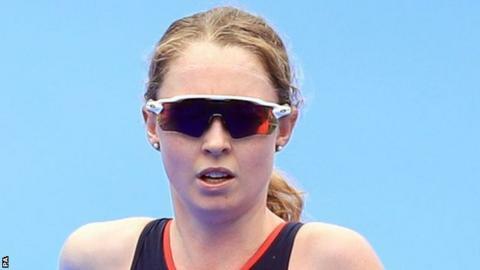 The Swansea-born athlete had been been feeling unwell since competing at a World Series event in Yokohama in May. Stanford won the Chengdu World Cup sprint distance event in the same month.